According to New Rules of TRAI,television viewers have been given the opportunity TRAI Cable TV tariffs to select their preferred channels. New Rules of TRAI gives the way, we watched the channel our own choice.We used to enjoy the television channels as per the earlier rules where no scope for the selection of channels by separating the audience.It was not easy for all the subscribers to understand the free to air channel list according to previous DTH & Cable Tv broadcasting rules. It often shows that the viewers did not see the channels they had to pay. There was no any slap in the FTA channels and pay channels separately. As a result, the viewers had to pay extra money even without seeing their favorite channel. It has been thinking about it for a long time and this new rule can be considered as beneficial to the customer. Because, this new rules, subscribers have the freedom of select the channel according to their own preferences. What is the major changes has been implemented by TRAI ? 2. Price of channel which has been fixed by Broadcaster and it has no any rights to decide by service providers. 3. Freedom of choice channels by the subscriber and this new rules will going to started from 1st February 2019. Now, most important matter is that how to choose your desirable channel package ? There are many other methods which you can apply for select DTH or Cable Tv channel package. But here I am discuss about most easiest method for Select your required channels. 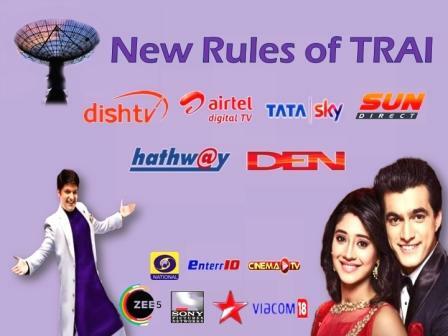 This New Rules of TRAI which has applied all Television distribution service like as Cable TV or DTH Platform. Now top of the MENU BAR where Pay Channels & Free to Air Channels list have shown. You can select channels from the list of Pay Channels & Free to Air channels. After your channel selection process complete, click the VIEW SELECTION option which is right side on the MENU BAR. You may also choose OPTIMIZE option for reduce cost wherever possible. You can download the list for take a printout of your selected channels. Your channels selection can also change every month if you interested to do it. TRAI app will help you for make a estimated price. You need to contact your DTH service provider for excitation of your selected channels by visiting their official website or Contact customer care service. Doordarshan first introduce Indian Reality Tv Shows in Television channel. We know about most popular music reality show “ Meri Awaj Suno” and the Reality of Reality shows in India , there we got the talented singer Sunidhi Chauhan.At that time most of the channel was carried free to air frequency and that was the beginning moment of free to air channels in India.Since 1996, the popularity of Satellite Television has started, and the popularity of this worldwide Reality show Sa Re Ga Ma first season was started also. Latest tv gossips also carries the reality shows a special response to viewers of television channels. Based on popular reality show American Idol ,Sony Entertainment Television channel has started Indian Idol in 2004.This show also another most popular music reality show in India and many talented singers like Abhijeet Sawant, Rahul Vaidya, Prajakta Shukre, Bhoomi Trivedi and Neha Kakkar.Neha Kakkar who further became one of the judges of Indian Idol season ten. This is the Reality of Reality shows in India that makes the general an extraordinary in a world. Recently Indian Idol completed it’s tenth season and Salman Ali was the winner of Indian Idol season ten. As a dance reality show, we remember Boogi Woogi which was the first dance reality show in Indian Reality Tv shows.This reality show was judged by cinema actor Javed Jaffrey and directed ( producer also) his brother Naved Jaffrey with co hosted the show film actor Ravi Behl. This show was for Sony Entertainment Television. In the year 1996-97 the first season of Boogi Woogi was started and completed seventh season during this year of 2013-14.The Reality of Reality shows in India that it was one of the most popular dance reality show in the dance compilation of the television channels. The reality show is served weekly as the special favourite television show of all the age group of television audience. Popular international reality show Rising Star which follows it in India Colors Rising Stars was premiered in the year 2017.This show from its last two season brings two winners in the industry Bannes Dosanjh and Hemant Brijwasi. It is now going to starts third season .This third season will judge by Shankar Mahadevan,Diljit dosanjih and Monali Thakur. It’s regional presence like Kannada Rising Star also Judge prominent singer & musician Sankar Mahadevan. He is one of the panel members of this show also. This music reality show first aired on 6th June 2015 on this channel &Tv. After huge success of this singing reality show’s first & second season , the show is expected to start in this year 2019 for third season. This reality show comes from original series which is Dutch and the creator of this show has curated in the same way in Hindi language. This dance reality show for kids (age group 4-13 years) is another most popular dance reality show of Hindi Television channel. This show started aired on Sony Entertainment Channel from 10th September 2016. After a huge audience acceptance of Super Dancer Chapter 1 , Chapter 2 now, Super Dancer Chapter 3 has started from 29th December 2018.Twelve Contestants have already stirred the sentiment of the people by their super dance perform on the stage. Three judges Shilpa Shetty,Geeta Kapoor & Anurag Basu have made this show more acceptance by their own virtue and personality. Dance Plus 4 is a dance reality show broadcast Saturday & Sunday on Star Plus .This show Judges by Remo D’Souza as the Super Judge and Dharmesh Yelande,Shakti Mohan and Punit Pathak as Masters. 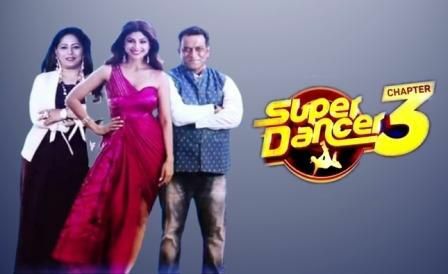 This reality show hosted by Raghav Juyal & Sugandha Mishra.This season four was launched on 6th October 2018. Today reality show is a primary choice of television viewers for every popular entertainment channel including many free to air channels in India with regional language also.The ratings for the Indian Reality Tv shows most of the time garn high TRPs. Many boys & girls from ordinary households have brightens their future through this reality show. Reality show encourages people who try to establish themselves among common people.Reality shows acts as a great source of inspiration for human innovation. It is possible to get closer to the great celebrity and accept their advice as a blessing and follow it .This is also the Reality of Reality shows in India. 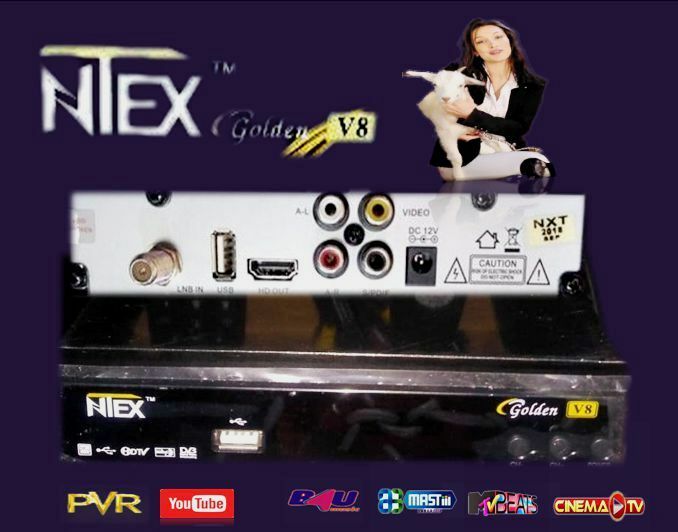 NTEX Golden V8 set top box is one of the best Free to Air Digital satellite receiver in the year 2019. This box capable of tune almost all free to air channels in india. It made with a hard metal body with proper control heat emitted system. NTEX Golden V8 set top box is very attractive look front panel which have one USB port for PVR and media file play, channel (+) and channel (-) button, Power button. Backside USB is connected for wifi & also have a HDMI port for LED Tv, single LNB input, Audio/Video input for normal Tv set. This box external power supply is 12V 1amp adaptor which giving power supply 110V to 260 V for AC. So this box is properly works with low voltage area. Some extra features for NTEX Golden V8 set top box is You Tube work properly with minimum internet speed, free IPTV operate with iptv file download. Key input function of this box working very smoothly also. 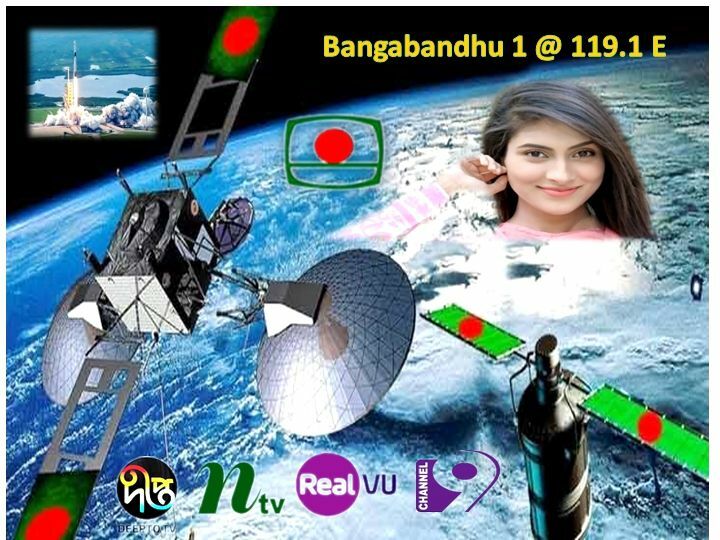 Bangabandhu 1 @119.1E is a revolutionary steps for Bangladesh Telecommunication Regulatory Commission (BTRC).Bangladesh Telecom has been decided that Bangabandhu Satellite 1 is mandatory for any new satellite channel for Bangladesh. The test transmission has already started with three of satellite channel BTV World, Sangsad Bangladesh,BTV Chattogram.There are some private television channels like NTV Bangla, Ekattor Tv, Boishakhi Tv, Somoy Tv are running as a testing mode. Initially three government agencies Fisheries ,Shipping and Cabinet Department have signed agreement for using this satellite service. First Bangladesh DTH service RealVU has started to running service as a trial basis and after a certain period they planed to starts operating from Bangabandhu 1 @ 119 E. Presently RealVU provides 48 local and International channels from this satellite. BCSCL chairman Shahjahan Mahmood is very much hopeful about this latest Telecommunication development of Bangladesh . He said “This service must help a commercial market expeditions”. Bangladesh Television channels are most popular for Bengali programme in not only Bangladesh but the people of UK,USA, India, Middle East country etc are also so much enjoy it. Since a long time there was no any satellite service from Bangladesh , all this satellite channels have signed a contracts with the foreign satellite companies. Bangabondhu 1 satellite will help this Television Channels for up linking their service from country’s own satellite. As a result it would save foreign currency spending and grow own subscriber for satellite service. However, it would be allowed to take service from other satellites if BCSCL fails to provide them any services. Bangladesh telecom regulator finalise a guidelines , foreign companies to take permission from the government in Local Television service provide. The Bangladesh government would also preserve a right , under the guidelines, to bar any foreign satellite operator from providing services within the country’s territory. At present 34 Bangladesh Television channels are regular broadcasting their programme and spending $14 million per year to use foreign satellite for up linking channels. There are fifteen new television channels are waiting for commercial running in the country and after March 2019 , most of the channels will start as a pay channel. BCSCL has plane to offer their new up linking channel partner a better price with a special discount for additional bandwidth consumption.” BCSCL chairman Mr.Shahjahan Mahmood said “Bangladesh Communication Satellite Company Ltd has planned to allow new television stations to run their services within a single point. This process is very helpful to save money approx 5 crore”. “BCSCL is interested to finalise deals with Philippines as well as place where this satellite has covered a strong footprint" said Mahmood. He also said "In this international market satellite consultant from Thailand currently active in about 20 countries and some new business deals would be on the table within a short time”. VSAT companies have also interested to agreements with BCSCL and some government offices to provide their service. International market for free to air frequency tune FTA Satellite Channels service developing around the world wide. 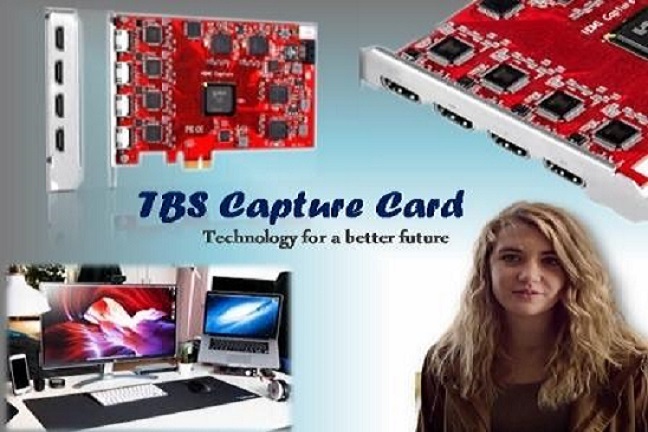 It is connected with a growth of latest and advance technology which is rising viewers preference.The FTA Satellite Channels service market is very effective for development of a particular project, technical support, ideas, highlight of major content, data service with follow the future needs that must creates a market growth. We can reviewed the present and future needs and it’s relation with financial ups and down ,demand-fulfil ratios. There are a major changes are going on Satellite & Cable Television freeto air frequency user experience for Television watching & services. 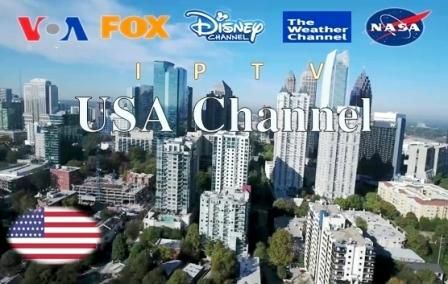 IP TV has started to capture a large market in this field, it is more convenience and customers Television watching experience is largely effective. Mobile Tv, application, various process and system have largely implements global market based on technology. 1.Global market acceptance for opportunity and challenges, advantage, restraints and risks. 2.A basic ideas create on market competition, market application and acceptance. 3.A competitive development by introducing some new content or ideas, expansions and acquisitions in the market. A market for freeto air frequency service captured by a large number of well reputed companies, manufacturers, sellers, advertisement agencies, broadcasters & distributors. Top celebrities in various field like sports, cinema, music etc who influence major count regarding revenue demand and increase sales through their consistent products & services. This FTA Satellite Channels service control a systematic analysis of the primary requirement factor which identified on the basis of users demand, variable market changes and regulatory compliance globally. A detail overview of Free to air (FTA) service market research report has described briefly about on present business strategy and analytical system. This FTA Satellite Channels service market mostly focus on quality, reliability, viewers demands and application implements. There are some improvement required on manufacture methods and product development platforms. This market research statements are well explained about on this manufacturing growth and development. In the year 1959 -1990 when hindi cinema songs we only watch Doordarshan. Doordarshan was the prime source of News & Entertainment Television programme . Ramayana,Mahabharata, Circus, Hum log, World this Week etc so many popular Tv serials which people used to enjoy very much. Weekly hindi cinema songs like Chitrahar & Rangoli dedicated on music of Bollywood Hindi cinema. During this year of 1992 to 1995 free to air frequency of Satellite Television era had started by launching several private Hindi entertainment channels like Zee Tv, Star Tv & Sony Tv ..etc. Although this channels was showing hindi cinema songs & entertainment programme but at this period no any 24x7 Indian satellite music channel available in our country. Music Asia was India's first 24x7 music channel launched in the year 1997. This channel is the part of Zee Network. Later it was renamed Zee Music and finally Zing in the year 2009.This was the starting period of hindi cinema songs in satellite music channel.Free to Air channels in India where Music Channels have captured a large market in the satellite Television entertainment field. In all these matter, satellite music channel plays an active role. How can cinema reach to the more people , Hindi Music Channel plays a very important role in it. It's bring also a great commercial success to the Bollywood film industry . B4U Music which is another most popular Hindi Music channel started in the year 1999 as a Digital free To air channel . At the beginning of the channel, the name was B4U and it was later turned into two channels like B4U Movies and B4U Music. B4U Music is most popular for Old hindi cinema songs of 70’s & 80’s and Romantic songs of 90’s.Almost all Hindi superhit songs of Kishore Kumar,Lata Mangeshkar,Md.Rafi,Mukesh,Asha Bhoshle have shown this channel .Every day Morning Masala at 7am to 8am and Awaaz De Kahaan Hai at 9pm to 10pm in night became the first favourite music programme of the largest number of a people Age group between 35- 60 years . Various types of music channels are constantly coming to the satellite entertainment world but B4U Music,9XM,Masti and now MTV Base, SONY Mix is dominating a large market in this satellite channel field. Music channels have a important role for growing interest among the people in Hindi cinema. The changes in the Indian music in Hindi cinema songs began from the ninety , when many talent basses came in this music industry. Talented singers, musician, song writer, composer etc covered the Hindi music & film industry. At that time, private satellite channels began to broadcast musical programme in front of the whole world. There was starting period of live events & stage performance where popular celebrities had come to join also. A new section of the Hindi cinema songs started to circulate in common people. Satellite Music channel launched not only Hindi but the channel started in other regional language also. Many regional music channels like Ramdhenu TV Assamese,Sangeet Bangla,Sangeet Bhojpuri,Sun Music Tamil, Gemini Music Telugu, Surya Music Malayalam etc private music channels have covred state wise in this satellite television field. Popular south Indian company Sun Tv & Raj Tv have covered a large proportion of South Indian music & entertainment market by their own music channel. Started to built music video album, pop songs etc. Mostly a mix of new tradition for Hindi commercial & classical music had started. As well as increase the level of financial progress by a growth of advertisement development. Such programs show that the relationship of celebrity with the common people is more intense. In all these cases, satellite Music channel plays an important role. How can more people reach the cinema, Hindi music channel which brings a great commercial success to the Bollywood film Industry. This is added a new dimension to Indian cinema & music by create a positive effect on social and cultural improvement. There was a day when we were waiting for a long time for Hindi movies on tv to watch our television screen. No any free to air Hindi film channel at that time. Zee cinema which was launched mid of the year 1992 as a pay channel. 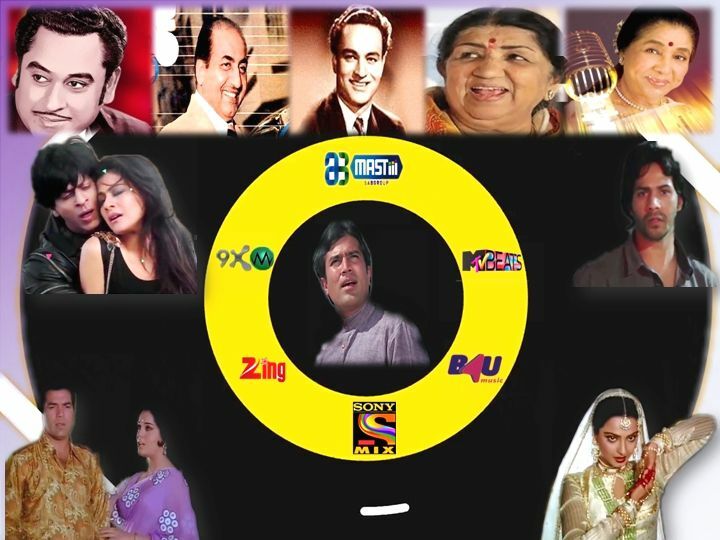 In the year 1994 , Asian Television Network ( ATN ) was launched as a 24 hr Hindi entertainment channel and it was the started period of Hindi movies on tv to broadcasts. ATN channel everyday telecasts three movies and popular Hindi songs of Kishore Kumar, Lata Mangeshkar, Md Rafi and others. This channel had shown Horror Movies and some time B Grade late night movies also .But in the year 1998 ATN channel change it’s programme in Bengali language ( Bangladesh ) and re-named ATN Bangla. Zee Network had started EL TV which was dedicated on Hindi Movies & Music programme but later it had changed as a 24 hr Hindi News channel Zee News. Zee News hindi today is between one of the most popular Hindi News channel of our country. During this period of 2008-15 when many free to air channels in India had taken part in satellite television & entertainment field. Manoranjan Tv had started in the year 2011 and at the same time Enter 10 channel also coming. After this two free to air movie channel Adhikari Brothers started Dhamaal & Dabang Hindi entertainment channel but later Dabang was changed as a Bhojpuri movie channel. After year 2015 a large percentage of growth has coming in Hindi movies on tv to watch as a free to air channel. Hindi cinema has a important role in the economical growth of our country. In our country a large number of Hindi audience who very much interested about Bollywood cinema & songs. Not only India but other country also take the interest for watch Bollywood cinema & Songs. During this period of 2015-2018 the total number of television viewership increasing 13.8 % to 16.9 % where Hindi free to air movie channel have contribute a major role. There is no any doubt that regular increase the number of Hindi Movie channel is the reason for perceptible growth our satellite television viewership. In rural area DD Free Dish only the platform for free to air channels in india and DD Free Dish carries indian free ku band channels including some popular free to air movie channel like Star Utsav Movies, Cinema Tv, Sony Woh, Enter 10 Movies etc. With the development of Hindi film channel , it has seen that the best South movie in Hindi dubbed regular broadcasts Hindi film channel. This south cinema also take a positive role for attracting viewers to watch cinema. South Indian cinema’s story, content, Action & Comedy creates some excitement to our Hindi audience .People of our country very much crazy about cinema, specially Hindi cinema. So they enjoy very much our Hindi Movie channel. Broadcasters take their policy for collected a list of popular movies and sometime show the repeat telecast it. Teleshopping business has played an important role in the increasing of Free to Air Hindi film Channel. Some teleshopping companies are also take their interest for launch a free to air movie channel. Our most of the viewers expected the movie content that is mass-based and can be watch with whole family members. Some time it can be seen that repeat telecast content get the high ratings. Syndication method for source of movies helps maximum revenue generate for Distributors and movie channel company. This is another reason for gradually increase of Hindi Movie channel. Viewers need variety of movies, Year 1940’s-1950’s Black & White classic cinema, A mix of Action ,Comedy & Romantic Hindi cinema of 1970’s to 1980’s and year 1990’s-2000’s was a Golden period of Block buster Hindi cinema which was a compact presentation of Action & Romance, Comedy & Suspense. Now we can watch the variety of Hindi movies on tv to watch free to air Hindi Film Channel. .It was not possible to us 20-25 years back. .
Hindi GEC has a largest viewership on satellite channel and Hindi free to air movie channel make a disproportionate viewership growth which creates some impact on GEC. Another advantage for Movie channel is that no need to create and content like GEC. So there is a very good opportunity for broadcasting cinema by purchasing movie rights. Constantly growth of free to air movie channel have a great significant on commercial & non-commercial movie business of Bollywood Industry. It’s open up a new avenues of advertisement, broadcasting and marketing that easily attract various type of audience. This changes in customer behaviour will create some significant impact on free to air satellite entertainment. Here is a popular Free to Air channel list and frequency for Hindi Film Channel.